They're easy to work with, low stress. They were very helpful and provided me with the level of service that I needed. We worked with one designer, Michelle. She was fantastic. My wife is very picky, and Michelle was great. She got to know my wife, what we liked, and what her styles were. She then made recommendations based on that. We thought it was a great approach, and she was able to determine what we were looking for and provided that for us. They were able to provide good solutions. As far as interior designers go, we didn't find the pricing was outrageous. It was very fair, and they did a great job. Also, we had an ottoman custom made. It had a small nick on one of the feet, but it was barely noticeable. They sent it back to the carpenter and had him remake all four feet at their cost. 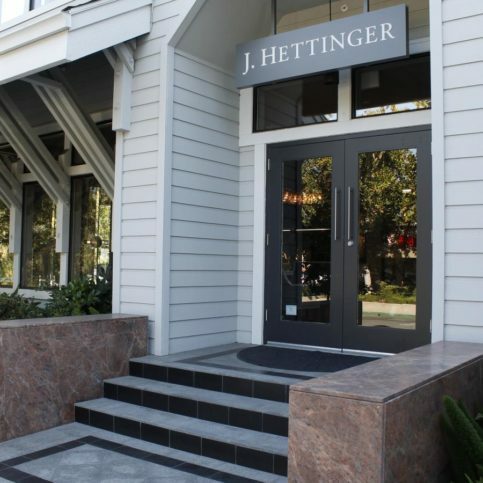 J . Hettinger Interiors provides complete and comprehensive residential and commercial design for all San Francisco Bay Area counties and beyond. The company’s designers have the experience and resources for all types of projects, from contemporary to traditional. To ensure the success of your interior design project, make sure you work with a company that keeps up with industry trends. 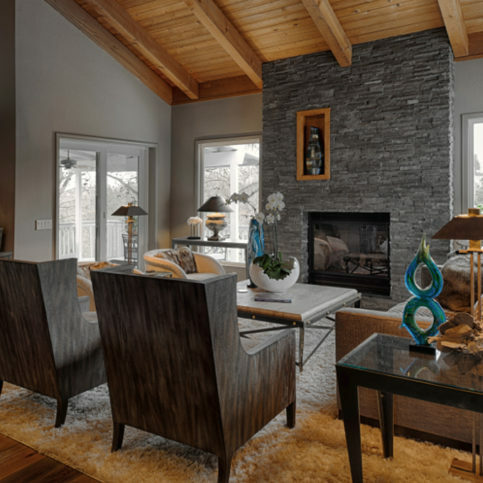 From modern to transitional to French country, interior design styles fluctuate in popularity every year. 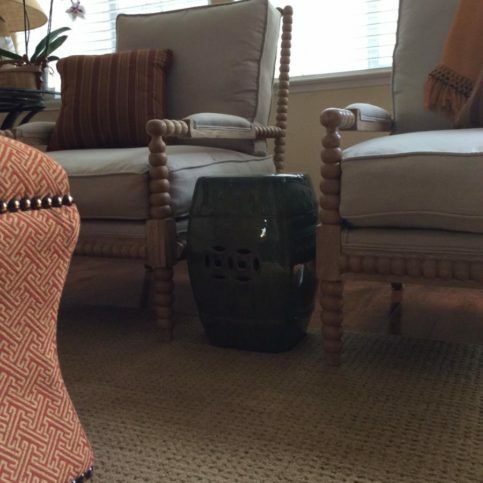 Even so, some interior designers get stuck in styles of the past, which can leave their clients with outdated looks that don’t fulfill their needs. Q: Can you help me find a design to match my budget? A: Absolutely. It’s our job to determine your individual needs and find materials and items that meet those needs. We carry products from more than 350 manufacturers, so we have the resources to fit any budget. We can get you that ‘wow’ factor by using products that have all the qualities you’re looking for without the big price points. A: The first thing we’ll do is develop a budget with you. You might already have an idea of what you can spend, so by talking about it right away, we can make sure everyone is on the same page. We’re always upfront about how much things cost so there are no surprises later—you’ll have plenty of time to plan and save accordingly. 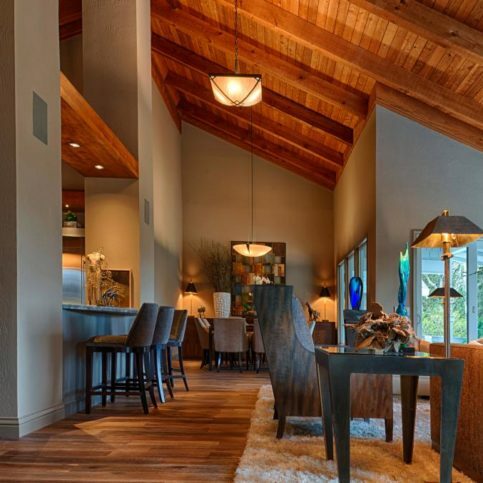 Q: Do you have experience with all styles of interior design? A: Yes. There’s no specific design style we can’t do, and we customize every design to what the client wants. We’ll visit your home to get a sense of how you see things and determine the best starting point. If you have a hard time putting what you want into words, we’ll pull up pictures of styles you like and build around that. Q: How much will my interior design project cost? A: Every project is different, so once we determine the extent of the work, we can give you an estimate. Prices vary depending on your budget, the rooms you want done, the furniture or accessories you need and any additional services you want. A: Yes. Our Alamo showroom allows us to show our clients what we can do, and we also have the versatility to completely change the display every six months, so we’re always showing the newest looks, colors and styles. Q: Can you design my vacation home if it’s outside of the Bay Area? A: Of course. We’ve worked on everything from vacation homes in Hawaii and South Africa to private yachts. Call us about your specific situation and we’ll do our best to accommodate. Q: Will you use computer software to create my design? A: Yes. 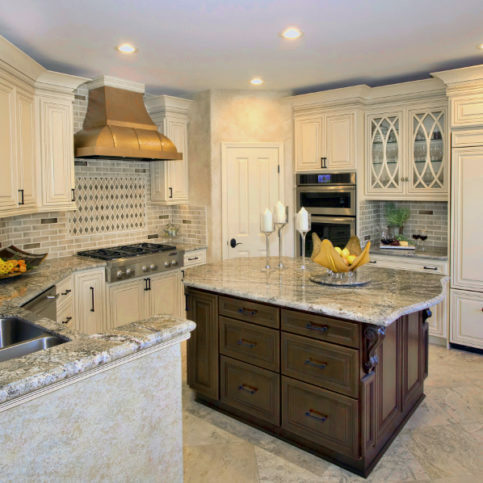 We use the AutoCAD program to help us plan spaces, integrate cabinetry and more. This contemporary kitchen features neutral and gray tones. This contemporary master bedroom features custom bedding and a custom headboard. An example of a ÛÏnew traditionalÛ look: clean lines and a variety of textures. 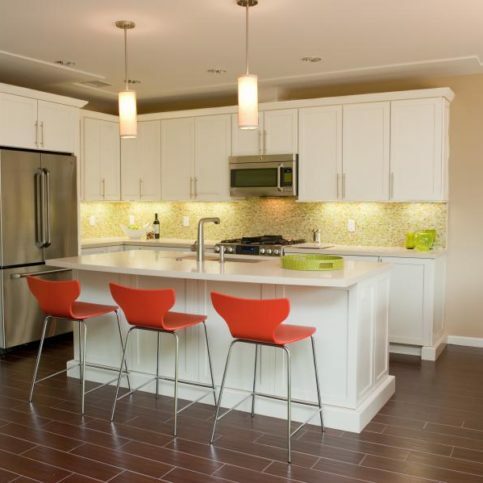 This contemporary kitchen features quart countertops, onyx backsplash and white cabinetry. 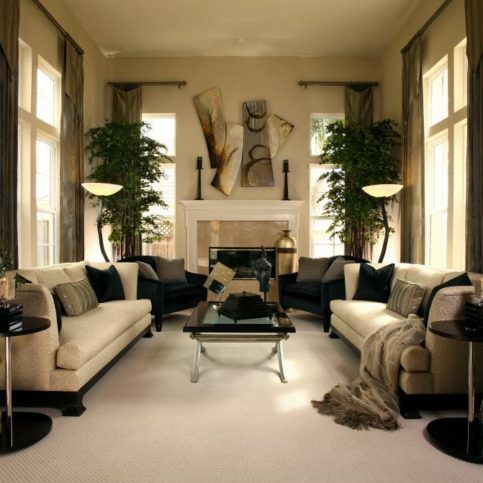 This traditional family room features oversized sofas and a chair surrounding an upholstered tufted ottoman. 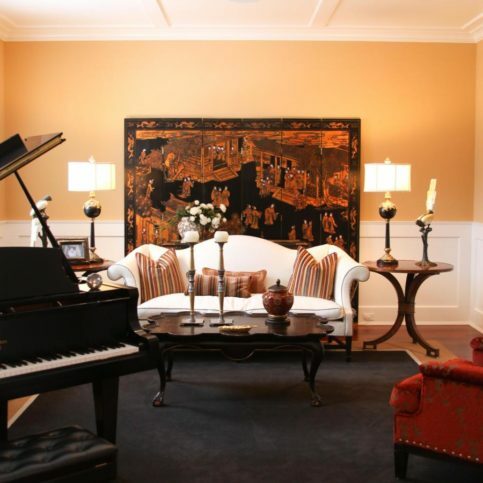 J. Hettinger Interiors used a symmetrical design in this long, narrow living room. 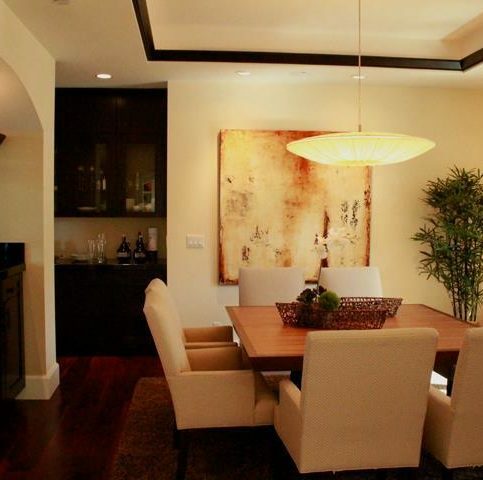 This room features a square dining table, contemporary artwork and wood molding detailing inside the coffered ceiling. J. Hettinger Interiors made this recently remodeled home look like an artistÛªs loft by showcasing collectable artifacts. J. Hettinger Interiors used simple furniture in this room to lead the eye to the architectural built-in cabinets. 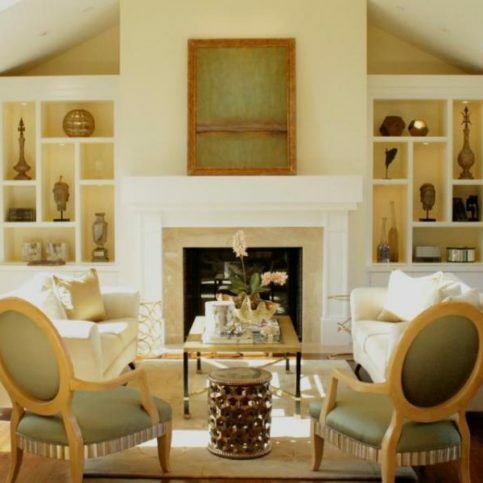 J. Hettinger Interiors used clean lines and a sophisticated neutral palette to design this room. 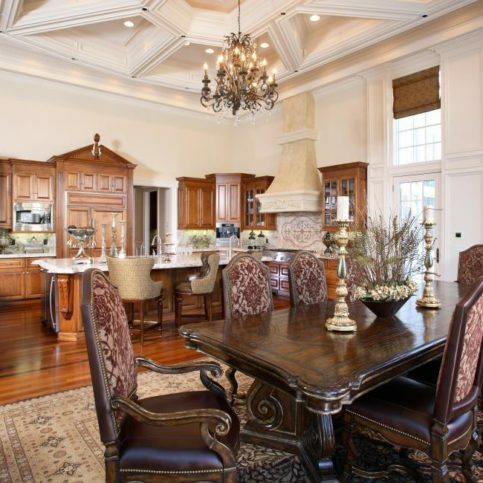 This traditional wood-tone kitchen features decorative corbels and pediments and Marge Carson dining furniture. 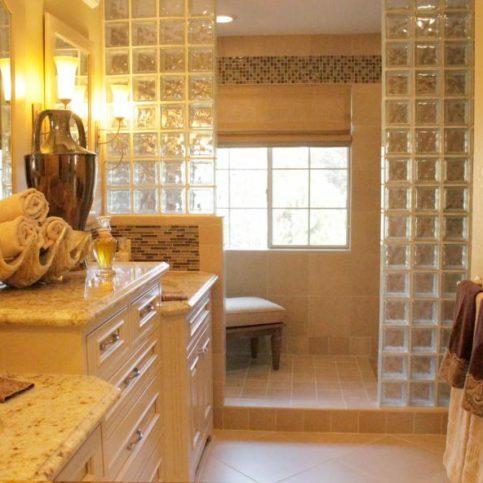 This bathroom design features enlightened glass blocks with classic details. J. Hettinger Interiors designed this master bathroom to be a place of peace and solitude with a splash of sophistication. 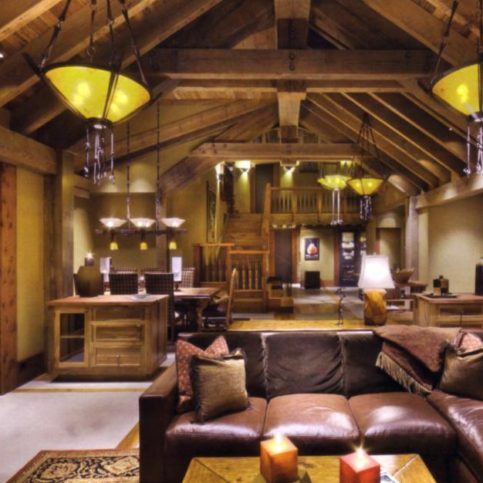 This modern, rustic, Tahoe-style room features reclaimed wood and rich materials. J. Hettinger Interiors combined modern and Asian d̩cor in this bedroom. 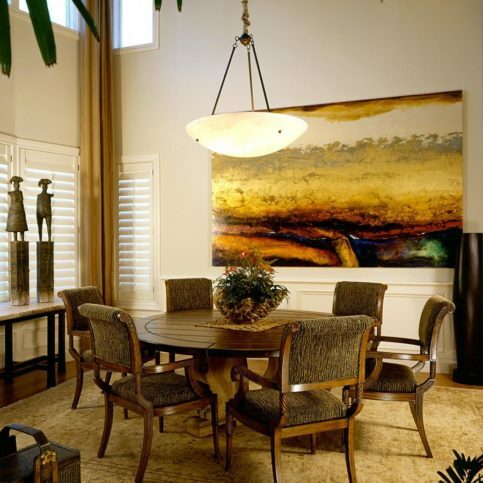 J. Hettinger Interiors used abstract artwork to brighten this minimalist dining room. 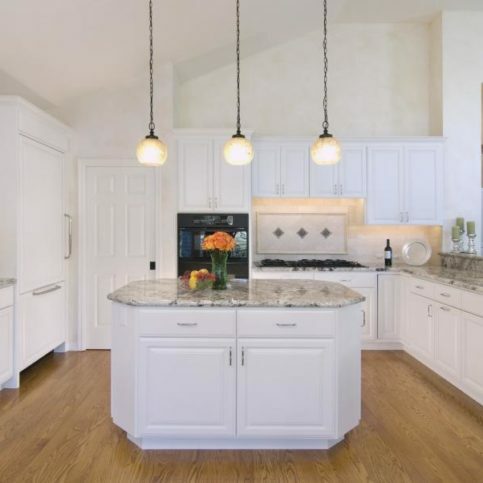 J. Hettinger Interiors used clean and classic lines to give this open kitchen a bright, soothing look. This room was designed to be open, spacious and uncluttered. 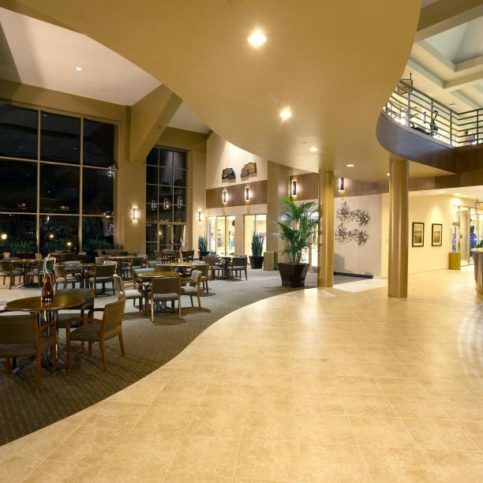 This commercial establishment features travertine floors, a custom reception desk and classic colors. 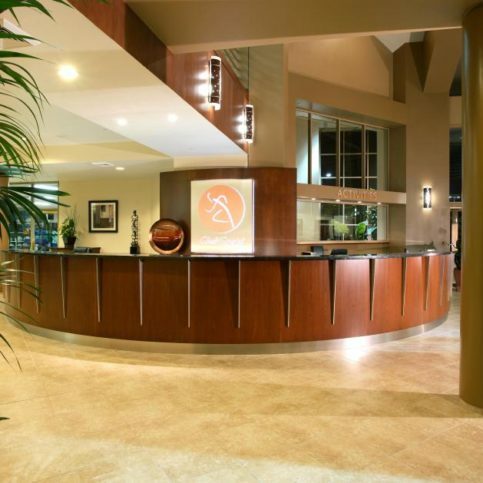 J. Hettinger Interiors designed this welcoming reception area. 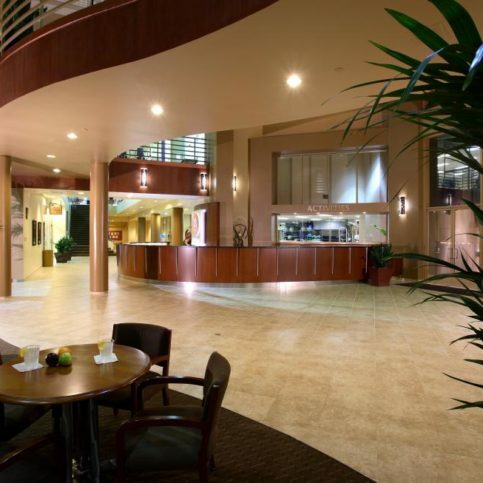 This lobby area was designed to allow for congregation before or after a workout. 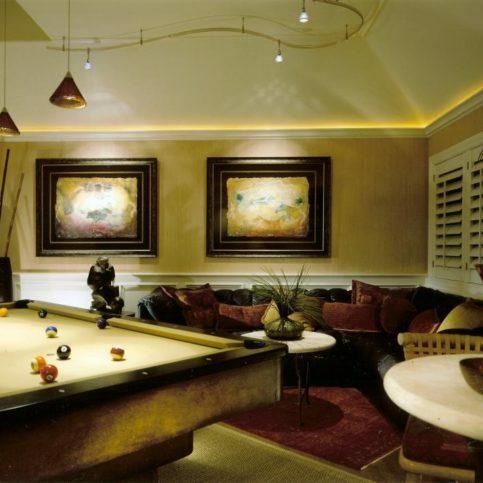 J. Hettinger Interiors designed this game room to be bright, colorful and relaxing. 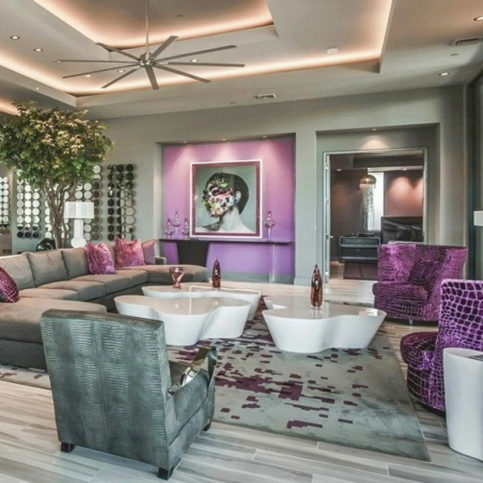 J. Hettinger Interiors designed this living room with updated finishes, custom furniture and contemporary artwork. J. Hettinger Interiors updated this kitchen with new appliances, countertops and glass front cabinets with interlocking cut-out details. 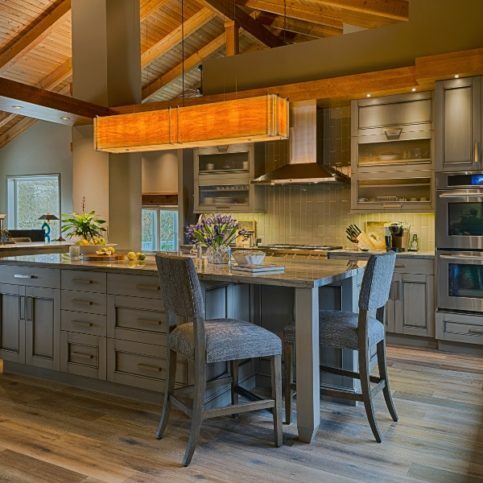 This kitchen remodel features a large island, neutral gray cabinets and task lighting tucked into custom soffits to complement the wood ceiling. Ron Smith is a veteran of the interior design industry and owner of J. Hettinger Interiors, a Diamond Certified company. He can be reached at (925) 350-6448 or by email. Originally from the East Coast, Ron received his formal industry training in New York before starting his career in Massachusetts. Later, he migrated west to California, where he met a man named Jerry Hettinger who shared his passion for interior design. Soon after, J. Hettinger Interiors was born. For the next 20 years, Ron worked tirelessly in the business until he finally decided to take a break. After doing some extensive travelling, he relocated to Connecticut, where he planned to remain semi-retired. However, if Ron thought his design days were behind him, he hadn’t counted on the existential dilemma this would create. “As I contemplated what I was going to do with the rest of my life, I realized I didn’t really have any interests other than my career. There was simply nothing else I wanted to do.” Following this realization, Ron returned to the industry with a renewed enthusiasm and founded a design firm in Connecticut. 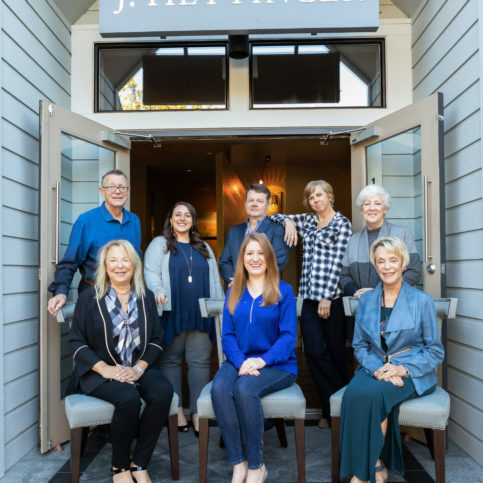 Later, after receiving word that his former business partner had become ill, he returned to the Bay Area to help out at J. Hettinger Interiors, eventually resuming ownership of the company he’d co-founded nearly three decades prior. A: I collect artwork, including several of my son’s pieces. A: An early bird. I’m up at 5am every day and tend to be in bed by 8:30pm. A: Probably Rembrandt. I don’t know what I’d say to him, though. I’d be more interested in what he had to say. The trouble is there are different perceptions of what constitutes quality. We see this in the automotive world: for some, a Honda is a high-quality vehicle, while others prefer Mercedes-Benz or BMW, and still others set their standard at Rolls-Royce or Ferrari. 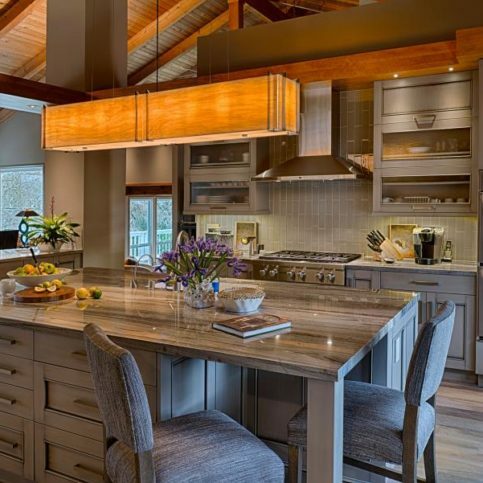 A similar divergence of tastes comes into play in the world of interior design, where products and features come in varying degrees of expense. At the end of the day, your design budget should reflect how much you’re comfortable spending. Whatever amount you choose, whether it’s $50 or $100,000, your interior designer’s job is to work within your budget to produce a design of reasonable quality. Diamond Certified Expert Contributor, Ron Smith: Okay. 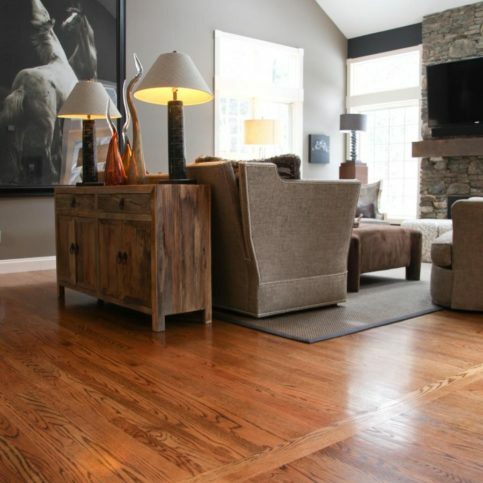 Probably the most frequently asked question is – sitting down with the client in an interview, they’ll ask how much is it going to cost to redo this room. And my typical response would be I could throw out a number or a range where I think it may fall. But typically I ask them, or explain that, what is quality to one person isn’t necessarily quality to another one. That’s why we have multiple car brands. Some people are driving Hondas. Some people are driving Jags. Some people Rolls Royce’s. So, the – it really isn’t how what I think it should cost. It’s what are you comfortable spending. If you give me a budget than I’ll put together and produce a design and furnishings of respectable quality that will work within the budget you want to spend. But there isn’t any point in me – if you want to spend 50 thousand dollars and I think on an average it would be 100 thousand dollars to do the job, there isn’t any point in me showing you what you could do for 100 thousand dollars if it’s not where you want to go. So, if I have guidance in how much you want to spend, then I’ll put together the best design and the best quality that I can put together to stay within the budget. 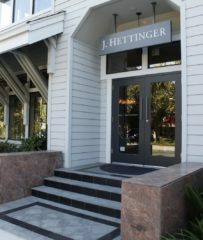 J. Hettinger Interiors : Average 9.5 out of 10 based on 98 unique customer surveys of customer satisfaction. The lady helped us pick out some color. They are really good, spot-on. The lady that helped us, Stephanie, she was really persoanable. They are a first class designer and interior decorator. It's more about Ross Smitha, as he's the one that makes it happen for us. Joanne Brockalini is fabulous. They understand your style, and they'll come up with the right budget. They stay within budget, and they'll fix it beautifully. I liked best that she understood what I wanted and what I liked. They are kind of a legend in the Bay Area with a great reputation. They are very community oriented, high-end, but accessible. Their creativity, top-notch and fresh, they are really into the whole package and making sure everything goes well together. They are fantastic. Scott powers is excellent. He is very gracious and conscientious. The end product is beautiful. They are very professional and very good at what they do. I am very happy with the results. They are very open minded as far as working with me and helping me with my style rather than dictating what I need to do or should do. They were flexible and very instrumental in helping my husband and I bridge our style. Scott had great ideas. We enjoyed what he had to say. We found a fit for everything we were looking for. Dealing with a human being and the amount of help he gave, we really interacted with him quite a bit over the course of the remodel. I had a great experience. Joann is awesome. My house looks great. Joann, she understands my style. The reason to choose them would be that they do a great job choosing pieces for your house. A combination of the pricing and Stephanie was very helpful with choosing pieces. I haven't worked with too many interior designers whom are professional and that I would use them again. They are very knowledgeable and involved with the design. I highly recommend them. Stephanie Paterson was excellent. She had a great eye. She knew exactly what would work in my room, and she made it happen. She was very down to earth and easy to deal with. The end result is wonderful. They listen. They are artistic, creative, and respectful of budget. They are easy to work with and professional. Our designer was Scott Powers. What I liked best, it is very specific to Scott, as he took me out of my comfort zone and designed my home. He designed a fantastic home for me. He created a home that is very reflective of my husband and myself. We get so many compliments. It's an elegant and comfortable home. I think they have a great sense of style and have great people working for them. They were very professional, and they met my needs. I liked that she found what I needed. Our interior design guy was very helpful and accommodating.